Though his mind had risen above life and death, body and mind were not in accord. Defeating oneself is vigorously overcoming one’s own body. A weak physical body weighs upon a person, often resulting in faintheartedness, fear of pain and death. Gain courage by comprehending the immortality of the Spirit of Way. This responsibility is yours alone. Your own body is not your possession. How can you possess the Way? An unprepared body cannot be the vessel for the supreme spirit. It is important to make one’s whole life in training and therefore not aiming for skill and strength alone, but also for spiritual attainment. Body and spirit are improved in harmony. The spirit frames the shape. The shape frames the spirit. If a person controls his body on a permanent basis, his spirit will become stronger. By constantly exercising his mind, he strengthens his spirit which in turn strengthens its vessel. 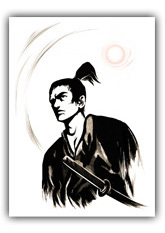 The great swordsman Yagyu Muneyoshi used to say that a man should tune his mind the right way. When spirit and body are in harmony, a person feels joy and strength. Iron is full of impurities that weaken it; through forging it becomes steel and is transformed into a razor-sharp sword. Human beings develop in the same fashion. Legend says the gates of ancient Shaolin bore the inscription: “Be light as a butterfly”. 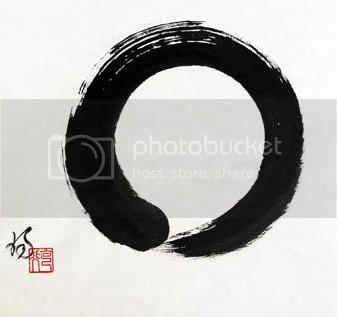 It refers both to the body and the state of consciousness which is supposed to be empty, fast, and free. A warrior must maintain the equilibrium of Heaven and Earth, spirit and body, earthly life and spiritual life. A man who combined spirit and body does not feel the difference between himself and the supreme world or between spiritual and physical. The body is a gift of Nature that should be nurtured and respected. Nature makes man feel the world’s overwhelming abundance through the body and gives him the possibility to interact with it in a glorious manner. This abundance is also a gift. Flow with Nature! A Master’s Spirit must be forged like a blade. In a difficult situation, remind yourself, “The body does not hold sway over me. The body is a machine. A strong order will force it to obey.” The main quality of a samurai is his will: focused in an iron fist, sharp as a sword’s blade; bolstered by the readiness to die. The strong train eagerly and constantly to become stronger. As they toughen body and spirit they gain force. There is no point of equilibrium in life. Life constantly tests a person. When one wins he ascends, when one loses he falls back. This is the law of differentiation. A strong person faces struggles joyfully, challenging destiny. Keep composure inside and martial ardor outside. A sage is not trapped in a cell of emotions and traditional beliefs. He has dominion over them and they serve him. Fudo. A genuine samurai is imperturbable because he understands the nature of things and has acquired a profound Faith, turning into a steadfast follower of the Way. Wisdom means the wisdom of intelligence. Although wisdom is called immovable, this does not signify any insentient thing, like wood or stone. It moves as the mind is won to move; forward or back, to the left, to the right, in the ten directions and to the eight points; and the mind that does not stop at all is called immovable wisdom. Do not divide your attention between several problems simultaneously. Focus on one, solve it, and continue to another. Calmness is the still surface of a lake. When the wind blows, a ripple may run over it, but it remains tranquil below. A person should order his thoughts, transforming his mind into an impenetrable base of support. If a person believes everything is constantly changing and is uncertain of anything, not knowing what he will do tomorrow or next year, it means his mind still at an earthly, immature level. It shows lack of any serious contemplation. To remedy this, he should reflect on his circumstances and be honest with himself.